Epsoak Epsom Salt Sleep Formula 2 Pack | S. F. Salt Co.
Why Choose EPSOAK Sleep Formula? 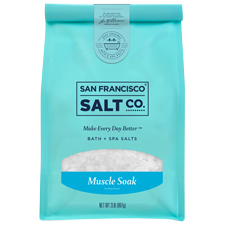 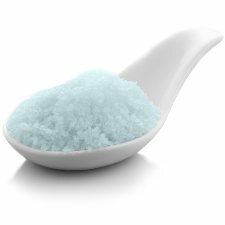 Our philosophy is simple.�We want you to remember how good it feels to take a bath.�Our products harmonize the therapeutic�power of bathing, aromatherapy and Epsom Salt to transform your bath�into a healing ritual for your body�and mind. 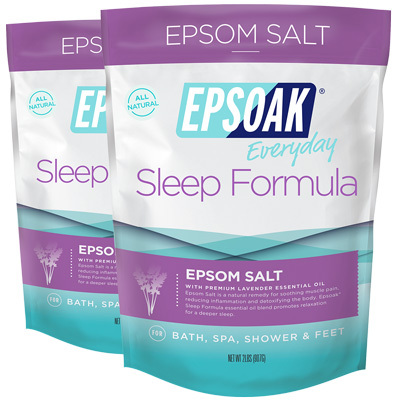 FOR A BETTER NIGHT'S SLEEP:�Sleep Formula is made with Epsoak EpsomSalt and premium Lavender essential oil to ease stress and encourage deep relaxation for a better night's sleep so you can awaken the next�morning�feeling well rested, rejuvenated and ready to take on the new day.